You shall not bear false witness (Exod 20:16). “Verbicide must precede homocide.” The sentence is from Paul Greenberg, an American journalist. What he means is that, in order to do the unthinkable, we must convince ourselves that the unthinkable is acceptable. We do this with language. Rather than speaking of an unborn child, we speak of a fetus. Killing a child is one thing. Removing the “contents of the uterus” or the “product of conception”—well, that’s another matter altogether. These terms, abounding in the language of abortion rhetoric, make an abortion sound like cleaning out one’s garage. Even the word “abortion” is a euphemism, focusing one’s attention on a procedure, rather than a slain child or a wounded mother. On the other side of life, we have “death with dignity.” My dictionary defines dignity as “the state or quality of being worthy of honor or respect.” But that is not what supporters of euthanasia mean by dignity. Dignity in the so-called “right to die” movement means being able to bathe or feed oneself and not having to use a bedpan. The idea that somehow dignity is wrapped up in whether or not a person needs help is a perversion of the idea of dignity. But dignity is a powerful word, and a powerful word is needed if we are going to justify the practice of getting rid of those whose existence impinges upon the rest of us in uncomfortable ways. Thou shalt not bear false witness against thy neighbor. 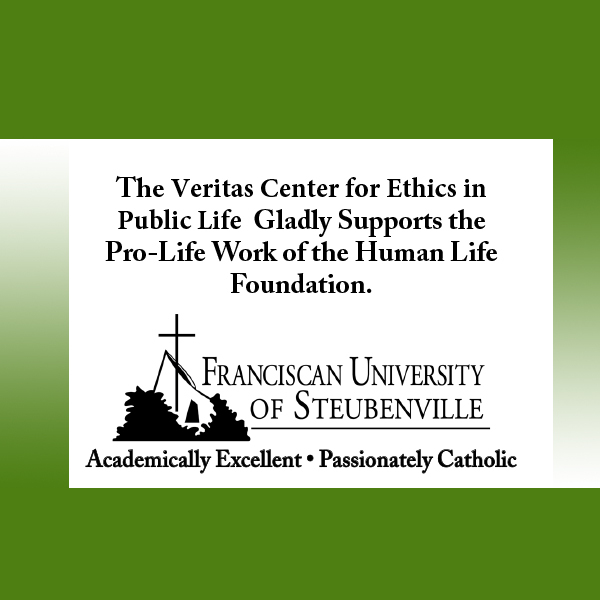 Abortion and euthanasia thrive on false witness. If fact, they require it. After all, who is against choice? The name of the pro-choice movement is shrewd, to be sure, particularly in its reluctance (sometimes even refusal) to mention the choice it promotes. After all, “reproductive choice” sounds not nearly as troubling as homicide or murder, just as the language of “disarticulating the calvarium” of an unborn child is more soothing than “beheading.” And who is against dignity? Perhaps if we understood dignity as that which we recognize in another, rather than as something that we grant to others if they fulfill certain requirements, we might begin to see the image of God in one another, regardless of age or ability. The etiquette of silence is a great temptation, for plain speech in the area of abortion is, at the least, socially and relationally awkward, and at the most, dangerous. Yet, speaking in a manner that obscures truth is nothing other than bearing false witness. And, just like it was in the Old Testament, false witness can get people killed. A truthful witness saves lives… (Prov 14:25). 306 people have visited this page. 1 have visited this page today. Another form of silence is by clergy who refuse to condemn those in authority, not necessarily by name, who actively support and promote abortion. Each Church has available, whether used or not, a means of expressing condemnation of extreme personal evil. Whether it be formal excommunication, shunning or simply removal from a position of influence or respect such as deacon, usher, elder etc. If a Church does nothing, it is tacitly cooperating with evil and we know what Jesus said about the lukewarm.